The team at media update has compiled a few words of wisdom that’ll help take your content from ‘pitched’ to ‘published’. As a PR pro, it’s your job to put together content that’ll spread news and build your clients’ reputations. Getting that right is no easy task – it takes time, research and a keen eye for news. So if you’re sending out pitches and hearing nothing back from journalists, maybe it’s time to rework your content. And the best way to do that is by applying tips and tricks from journalists. Ready to get started? 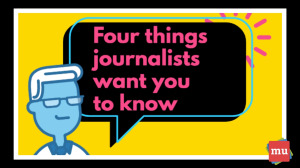 Is there anything else you’d like to know from journalists? Let us know in the comments section below. As technology, procedures and methodologies develop – so should your skills as a PR professional. Check out these Six fundamental skills needed in modern PR to learn more.